Dear Visitor in this section of my Website I will try to give you an summary of my activities related to fielddays and the leading Contests in which I generally compete. My first Fieldday participation was in 1968 together with ON4IF and ON5MG. It was an exciting experiment, but after all we knew that we had to learn the hard way to rich to top. For the Fieldday we chose a good location in the Ardennes, a place named, ANLIERS.From that location we participated several years in the CW Fieldday and each year we competed under a different Call from a member. Every year that we participated we won the first place Trophy. I got the honor to get this Trophy in 1976. Later on we moved to an other location around the area of Vielsalm in 1985. From the period 1985 until 1988 you will find some pictures, click on the link to enter in the picture gallery. In 1990 I moved from the Brussels area to Keerbergen, about 15 miles from the capital and finally a few years later I left the BDX Team and that is until now the end of my Fieldday activity. 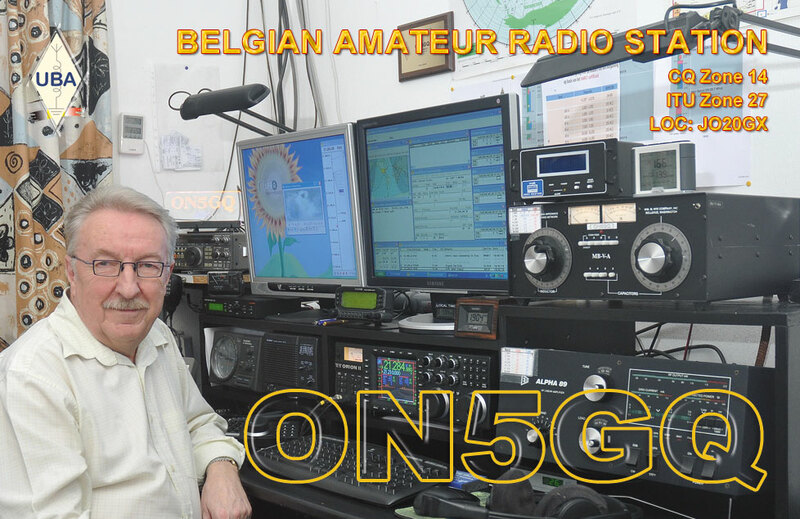 After BDX I became member of the UBA section of Mechelen MCL but here I can't find any interest in DX or contests, I stay only member to receive my QSL's and concentrate me on contests and DX activities at home.